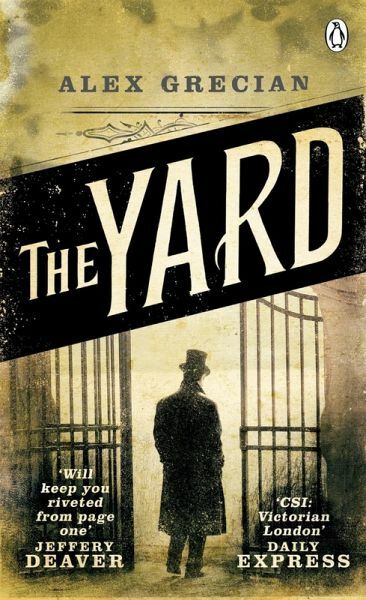 If you were fascinated by The Five , you'll love this gripping and atmospheric historical thriller set in Victorian London in the wake of Jack the Ripper. A killer is haunting London's streets . . .
A year after Jack the Ripper claimed his last victim, London is in the grip of a wave of terror. The newly formed Murder Squad of Scotland Yard battles in vain against the tide of horror. When the body of a detective is found in a suitcase, his lips sewn together and his eyes sewn shut, it becomes clear that no one is safe from attack. If you were fascinated by The Five, you'll love this gripping and atmospheric historical thriller set in Victorian London in the wake of Jack the Ripper. Has the Ripper returned - or is a new killer at large? And for Walter Day, the young policeman assigned the case, is time running out? Alex Grecian worked for an ad agency before returning to writing fiction full-time and raising his son. Alex is the author of the long-running and critically acclaimed comic-book series Proof, and the bestselling Scotland Yard Murder Squad series. He lives in Topeka, Kansas, with his wife and son.